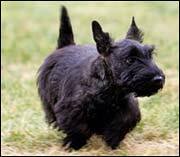 Visit the most famous White House Scottie! Note: If you spot Barney in the media--or in person--please let BB know all about it! Bushy Barney, inaugurated Feb. 8, 2001, is a fan site and is not officially affiliated with the White House.